For proof of this, I turn to “The A-Team.” No reason, really. Studio must’ve needed a script quickly and didn’t feel like coming up with a new idea. This movie is a result of Hollywood’s continued lack of ingenuity. 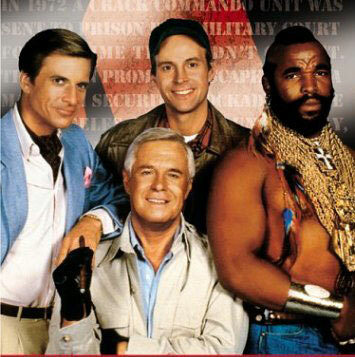 “The A-Team” reminded me a lot of those times when you walk up to a group of kids and one of them says some weird word. Once everyone starts laughing you say, “what’s so funny?” Then, some kid responds by saying “inside joke.” You feel uncomfortable not understanding what is going on and even more annoyed that some joke is so important that it can’t be shared with the rest of the world. This leads us to the film’s opening. Even though it introduces every single character, there still seems to be something lacking from the backstory. The only way to truly understand what is going on is to have seen the 80s TV series. But who has time for that? Anyway, our film begins somewhere around the American-Mexican border. While under some intense kidnapping conditions, we meet the team. There’s the cigar smoking Hannibal Smith (Liam Neeson), the wily Lt. Peck (Bradley Cooper), mentally disturbed Murdock (Sharlto Copley), and conflicted killer B.A. Baracus (Quinton ‘Rampage’ Jackson). That whole opening scene becomes pretty much pointless, as the film suddenly transitions eight years later from Mexico to Iraq (I guess director Joe Carnahan thought it went better, since both places have sand). Despite so many successful missions, nobody in the military trusts the A-Team because, hey, this is a Hollywood action film. The team is sent on a covert mission to stop some bad business involving counterfeiting Iraqi money. They are setup for murdering a general and wrongfully imprisoned. The rest of the film is them proving their innocence and finding the real bad guys. What follows is a fairly ridiculous assault on the brain. If the explosions don’t get you, then the extremely twisted (and not in a good way) story lines will. 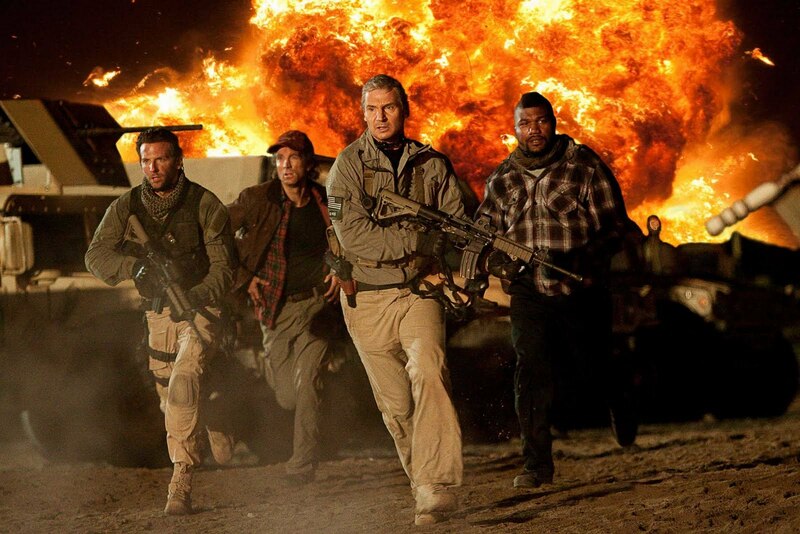 “The A-Team” wants to be a film that relies on twists for good storytelling. The only problem is that it relies on many rather than a few. Sometimes, they occur so closely together that they get tangled. Other times, they just seem to have no reason to be there, except to be really annoying. Not only does it try to handle so many twists, but it also tries to tackle so many stories. It wants to be both a continuation of the show and an origin story. I can’t speak for how it made fans feel, but all I can say for people new to this story is that it left us in the dark. Should this film even be taken as a serious drama, or a comedy? At this point, I shouldn’t really expect much story. However, I do expect some production value. While the film certainly looked like it had a budget, it doesn’t look like much of it was used wisely. The film opts for the typical, shaky-cam shot action sequences. Why do action directors love shaky-cam? It creates more nausea than thrills. Have we become so A.D.D. that even a shot that lasts more than two seconds feels long? Most of the action feels like video game violence. Everything else is so poorly edited that it often feels more like an extended trailer than a feature length film. It just puts “A-Team” into part of this horrible trend of mainstream movies that seem to be marketing products and sequels over actual stories. What continues to annoy me about the film is some of its underlying smugness. That’s probably because of Carnahan, who also directed “Smokin’ Aces.” “Smokin’ Aces” did Tarantino much worse than it actually thought. Likewise, “A-Team” does corny 80s action much worse than it thinks. Despite this litany of problems, the film manages to find a few bright spots in the ensemble. Neeson and Cooper just seem to be playing Neeson and Cooper. While it’s hard to ever complain about Neeson’s acting, it’s time for Cooper to find a new character. But it was the other half of the team that was most engaging. This is only Copley’s second performance, but he already knows what kind of an actor he wants to be. He brought to Murdock the same dimwitted charm that made Wikus both so likable and hatable in “District 9.” Jackson does a great job playing Mr. T about as well as Mr. T ever could. His character is also the closest the film comes to creating a sort of satire of a certain archetype. What “The A-Team” ultimately represents is a death of creativity in Hollywood. It also shows that the moviegoing audience has suddenly lost interest in good ideas. Why couldn’t the inspired take on 80s action in “MacGruber” take hold but the uninspired mess based on an 80s TV show could? For those looking for just a good throwaway experience, this is your movie. For those wanting action with a little more watchability, “Inception” is just a few weeks away. This entry was posted in 1980s, Action, Bradley Cooper, Joe Carnahan, Liam Neeson, Movie Review, Remakes, Shaky-Cam, Sharlto Copley, The A-Team, TV Adaptation on June 15, 2010 by ian0592.